Physical Description: 381 p., 22 cm. A powerful middle-grade novel about a boy who was born and raised in the Blue River County Coed Correctional Facility of Surprise, Nebraska. 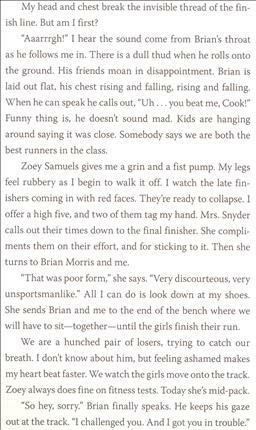 School Library Journal - 12/01/2015 Gr 5–7—Eleven-year-old Perry's home life is like that of most kids his age: morning ritual, school, dinner with his mom, and games with his extended family. Unlike other kids, however, Perry lives at the Blue River Co-Ed Correctional Facility, where he's stayed since birth with his mother, Jessica. Nearing the end of her sentence, Jessica is up for parole, and she and Perry are eager to start a new life on the outside. Opposing Jessica's parole is the county's ambitious district attorney, Tom VanLeer, stepfather of Perry's best friend. VanLeer is outraged that a child was raised in a prison and demands that Perry live with the VanLeers while the case is sorted out. Perry knows he has traded a prison that feels like home for a home that feels like a prison. He resolves to reunite with his mother and have her appeal granted. Connor subtly conveys Perry's restrained anger over being torn from his Blue River family (for instance, the boy refers to objects in his foster home as "the VanLeer closet" or "a VanLeer towel"). Perry is a memorable protagonist whose unusual upbringing gives him an understanding of and faith in human nature that brings out the best in everyone around him. 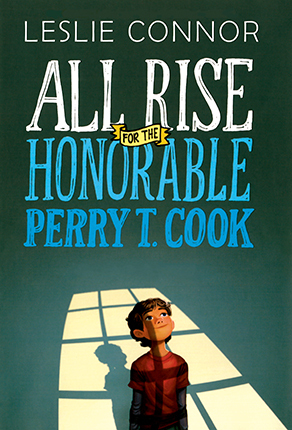 He's a perfect foil for the superficial morality of VanLeer, who is no match for Perry's integrity when the boy confronts the adult on his duplicity, declaring, "Your word is no good." Rich characterizations give the novel its big heart: Jessica, Big Ed, and the other Blue River inmates are nuanced, vivid characters whose stories of perseverance after tragedy embody the novel's themes of redemption, hope, and community. VERDICT This beautifully written work will send readers' spirits soaring.—Marybeth Kozikowski, Sachem Public Library, Holbrook, NY - Copyright 2015 Publishers Weekly, Library Journal and/or School Library Journal used with permission. Bulletin for the Center... - 04/01/2016 The Blue River Co-ed Correctional Facility is hardly a place most people (even the inmates) would call home, but for Perry T. Cook it’s all he’s known for twelve years, and frankly, he doesn’t find it all that horrible. He gets to stay with his mom, Jessica (convicted of vehicular manslaughter twelve years ago), hang out with Big Ed in the cafeteria where Eggy-Mon serves up rhymes with his rations, and improve his running time with Mr. Halsey. He goes to a regular middle school with his best friend Zoey; unfortunately, when Tom VanLeer, Zoey’s new(ish) stepdad and lawyer, gets wind of the arrangement, he makes it his mission to get Perry out of Blue River and into a “real” home (the VanLeers’ in this case) until Jessica’s impending parole meeting. Perry’s a quiet, thoughtful kid, and he tries to use Big Ed’s “Win/Win” model to get though this awful predicament; he even makes an effort to understand VanLeer and his reason for taking Perry away from Big River. Connor certainly paints a rosy picture of life on the inside, but Perry’s school project, in which he interviews the inmates, portrays a host of people in varying shades of gray as they lay out their crimes, their motivations, and their guilt or lack thereof. Perry’s narration is heartfelt and spirited, while the interspersed third-person narration focusing on Jessica is almost agonizing as she moves from despair to hope to shame and back again. Not one of these characters smacks of type or cardboard, and readers will long remember the folks of Blue River after its gates have closed. KQG - Copyright 2016 The Board of Trustees of the University of Illinois.